Over 100 million pounds of pesticides are used by homeowners on lawns and in gardens each year. Now, we all know that too much of one thing can hurt us and the same thing goes for crabgrass preventer. Although you add it to your lawn in hopes of gaining a beautiful, weed-free lawn in return, you may actually be causing some serious harm to your grass. But how is this possible since this is supposed to prevent weeds? Well, Weed Pro has all of your questions answered and more. How does crabgrass preventer work? Crabgrass preventer, also known as pre-emergent, works by preventing crabgrass and other weed seeds in your lawn soil from germinating. In fall, crabgrass seeds spread and in the spring, once it gets warm, they begin to grow. How does it harm my lawn? Crabgrass preventer is a non-selective product that prevents everything (including grass seed) from germinating. If you do have to seed in the spring and you've applied your crabgrass preventer, make sure you rake the bare spot, breaking the pre-emergent barrier. Or make sure you seed after applying crabgrass preventer. How can I protect my lawn? Although it can be frustrating having to reseed your lawn after using crabgrass preventer. It is better than skipping crabgrass preventer entirely and having to replant all of the areas where weeds took over your lawn the summer before. 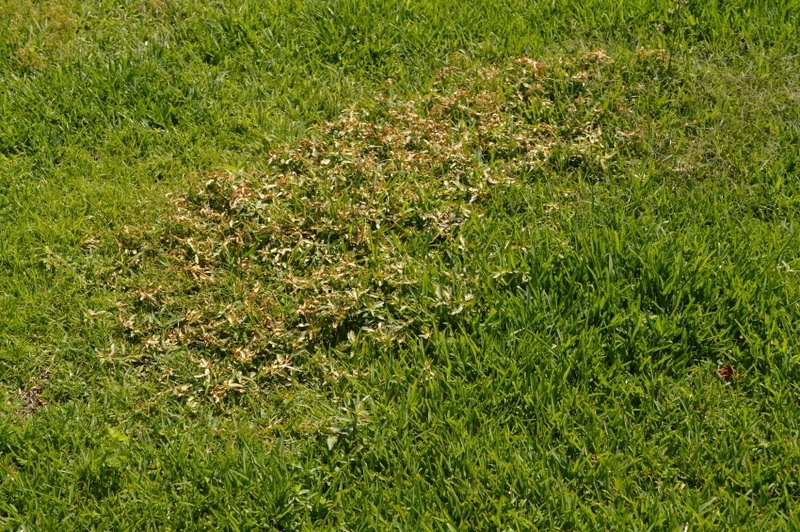 To protect your lawn from having the crabgrass preventer kill too much of your grass seed, make sure you don’t use any clippings from the grass treated with pre-emergent as mulch, as the chemicals will linger. In addition, make sure you don’t accidently track the chemicals into your garden or flower beds. For more information on crab grass preventer, check out this article. Not Sure Where To Go From Here? Hire A Professional!